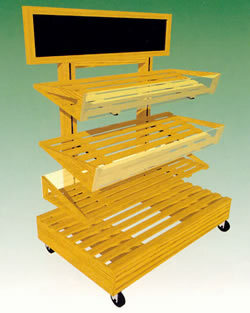 Amtekco Industries, Inc. has Mobile Shelving Displays to meet all your merchandising needs. For today's bakery market, Amtekco's units are reliable performers with versatility in mind. 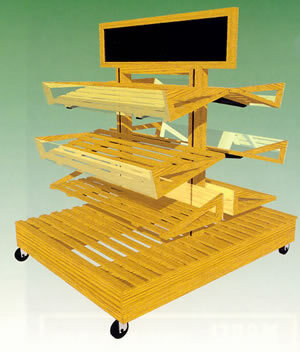 For a complete department choose from our comprehensive line of Tall and Low Mobile Displays. BMSL - 48 48" 30" 54"
BMSL - 60 60" 30" 54"
*Shelf positions are: flat, 17 and 30 degrees-flat reversed position preset by factory.